On 25th September at the UN, 193 world leaders will adopt the Global Goals, a series of 17 ambitious goals to end poverty, fight inequality & injustice and tackle climate change for everyone by 2030. The Global Goals campaign aims to both make the goals famous and to push for their full implementation with the hope of reaching 7 billion people in 7 days with news of the Global Goals for Sustainable Development. As 95% of the global population have access to radio, Radio Everyone is calling on radio stations across the globe to be part of this incredible global endeavour which serves as an integral part of the success of the campaign’s ambitious target – to ensure the Goals are world famous and successfully acted upon. · The Global Citizen Festival: highlights from the six-hour Global Citizen Festival in New York, headlined by Coldplay, Ed Sheeran, Beyoncé and Pearl Jam will be shared with broadcast partners in over 60 countries. · Peter Gabriel: the sound of the station has been composed and performed by Peter Gabriel, accompanied by the Soweto Gospel Choir, and remixed by Benji B. · Samantha Cristoforetti: fresh from her spell on the International Space Station, the Italian astronaut will present a show, reflecting on what it’s really like to look down on the ‘little blue dot’ that is our planet, whilst sharing a series of musical firsts in space. · Bono and Christiane Amanpour: will co-host a programme reflecting on their first hand experience of seeing development in action around the globe, through their respective work with ONE and CNN. 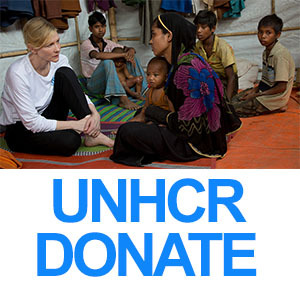 · Shows hosted by international public figures including: Jamie Oliver (UK), Paloma Faith (UK), Tom Meighan from Kasabian (UK); UNHCR supporters Cate Blanchett and Andrew Upton, Cody Simpson (Australia); D’Banj and Ice Prince (Nigeria); G.E.M. (Hong Kong); Haile Gebrselassie (Ethiopia); Criolo, Gilberto Gil and Lenine(Brazil); Liverpool FC players including Kolo Touré (Ivory Coast); A. R. Rahman and Hrithik Roshan (India); UNDP Goodwill Ambassador Michelle Yeoh (Malaysia). · ‘Global Superheroes’ documentary series: Radio Everyone has commissioned a series of seven documentaries, giving a voice to inspirational young people achieving extraordinary things around the globe – ‘Global Superheroes’. They will cover the areas of peace, equality, health, poverty, the planet, water and education and will be narrated by globally renowned voices, including Michelle Yeoh. · Partner broadcasters have also produced content for the stream: BBC Music have produced a show around musical firsts, presented by Matt Everitt and featuring contributions from Noel Gallagher, Ringo Starr and Dave Grohl. WNYC and PRI have produced a special edition of “The Takeaway” hosted by John Hockenberry, looking at the UN’s Global Goals. Featuring contributions from David Miliband, John McArthur and Catherine Woteki, chief scientist at the U.S. Department of Agriculture. Major broadcasters supporting the project include BBC Music, Bauer Media in the UK, WNYC & Public Radio International in the US, CBC in Canada, ABC in Australia, 92.7 Big FM in India and Deutsche Welle globally. Radio Everyone is also on track to have a significant presence in a wide range of countries including Somalia, Afghanistan, the Democratic Republic of Congo and Myanmar. Radio Everyone can be heard on radio stations around the world from the 26th September. Did she donate her marble batg tub?